Is your dealership in jeopardy of becoming part of the Automotive Bermuda Triangle? While your pay per click and social media budgets are important, what’s more important is how many new and used cars you have on ground, how many motivated sales professionals work for you (emphasis on “motivated”) and how all three numbers tie together. If your numbers are not triangulated properly you run the risk of being one of those dealerships that gets lost at sea. Personnel: A good rule of thumb is for each motivated sales professional, you should expect 10 cars per month. Inventory: Approximately ½ of the total number of cars you have on ground to start the month will be your total number of sales to end the month. Website visitors: A good goal is 10,000 website visitors with a 2% closing ratio. You need the correct campaigns with Google, Yahoo, Bing and Facebook in place to help drive customers to your virtual showroom and ultimately to your dealership. 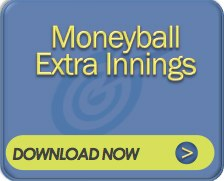 For more details on what I call the Moneyball factor you can click here. Need a real world, working example. Here’s a dealership that developed a plan that helps them to avoid the potential pitfalls of the Bermuda Triangle. Nobody gets lost at sea. The game plan is on point. We will sell 200 cars this month! Take the same scenario with only 10 sales professionals and you will only score 100 sales. You do not have the personnel to close the deals. This may seem clear to some, but many of the people I meet with miss this all-important aspect. Many General Managers will believe they’ve hired “closers” so they can get to 15 units per person. It just doesn’t happen. Take the same scenario with 20 sales professionals and only 300 cars on the ground and you will run into similar difficulties created by a problem with a different part of the triangle. The likelihood is you will sell closer to 150 units than 200 units due to timing, PDI, recon and the like. It’s not only having the car, but getting the cars front-line ready that creates timing issues. Only after you have taken care of the personnel side and the inventory side of the equation should you begin to worry about how much you should spend on advertising. Without the first two pieces of the puzzle in alignment, I wouldn’t spend a penny. It’d be like throwing money into the ocean and hoping that it wouldn’t get lost at sea among all the other dealerships out there. Jim, Good post and to the point. This is information that too many don't what to hear. People, Product and Prospects have been essential elements, to move numbers, from the beginning.